JNTUK B.Tech 3-2 Sem (R13, R10) Regular/Supply Exam RC/RV Results April 2017, Jntu kakinada b.tech 3-2 sem revaluation/ recounting results 2017 are declared. 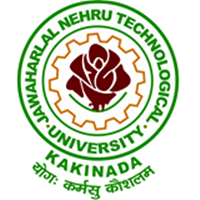 Jntu Kakinada University has released the B.Tech 3-2 Semester (R13, R10) Revaluation/ Recounting Results 2017. The exams was conducted in the Month of April 2017. Those who have failed or doubts in the marks, Applied for Recounting or Revaluation by paying fees in the Respective Colleges. After Revaluation of papers, today released the Results and Sent the Marks to Respective Colleges. The Revaluation/Recounting results for “B.Tech 3-2 Semester (R13,R10) Regular/Supplementary Examinations April 2017” are declared. The result sheets have been sent to respective college principals. Students concerned are requested to contact their college principals for knowing the results. Please kindly give the release date of 3-2 revaluation link to check results of October.